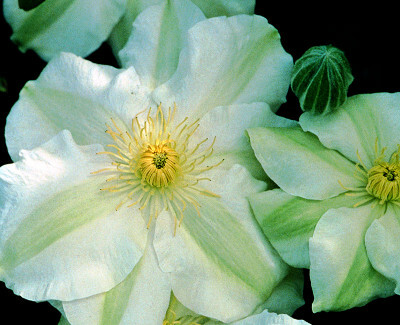 Guernsey Cream Clematis: understated elegance. Guernsey Cream is the finest of the early flowering white clematis. Its understated elegance and prolific bloom create a graceful and stylish space! Guernsey Cream starts Clematis Season with a splash.